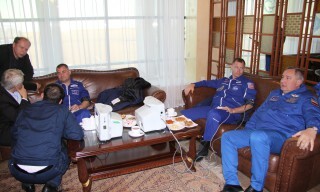 On September 1 7, after the meeting of the Interdepartmental Commission in the Gagarin Cosmonaut Training Center, a pre-flight press conference of the main and backup crews of ISS-57/58 was held. 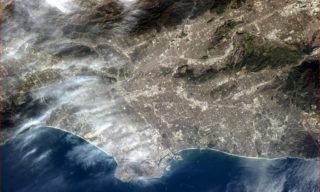 The main crew included the commander of the “Soyuz MS-10” spacecraft Alexei Ovchinin (Roskosmos) and the flight engineer of the “Soyuz MS-10” spacecraft Nick Hague (NASA). 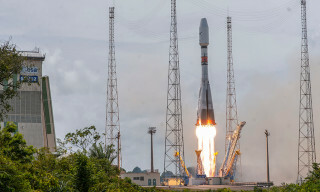 The backup crew was also approved and includes the Roscosmos cosmonaut Oleg Kononenko and the astronaut of the Canadian Space Agency David Saint-Jacques. 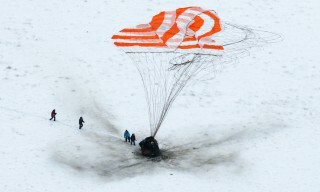 During the press conference, representatives of the media traditionally congratulated cosmonauts and astronauts with a successful passing of exams. 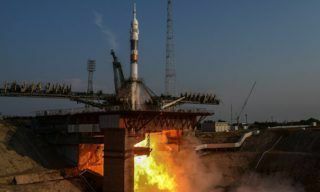 The journalists paid special attention to the 20th anniversary of the International Space Station, which cosmonauts and astronauts will meet in orbit. A lot of questions of the representatives of the media were related to the scientific program, planned for the expedition. 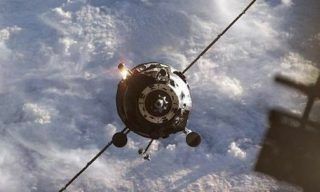 One of the most traditional and interesting question – about the weightlessness indicator, a subject that cosmonauts always take with them in flight and using for understanding at what moment the ship will overcome the force of the Earth’s gravity. 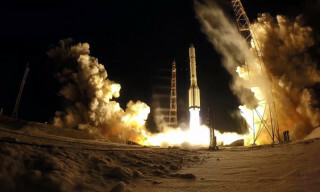 This time, the commander of “Soyuz MS-10″ Alexei Ovchinin decided to take a soft toy – a dog dachshund, a symbol of this year. 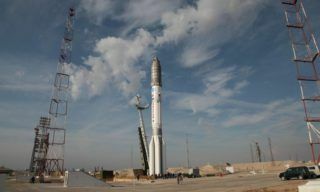 Astronaut Nick Hague will take a figure of a falcon, a symbol of the Air Force Academy, which was completed by him. Departure of the ISS-57/58 crew to the Baikonur cosmodrome to continue pre-flight training is scheduled for September 25, 2018.